Employers should consider site accessibility when devising a Travel Plan. An actual or perceived lack of safety can significantly deter modal shift. Barriers to site access may be busy roads, complicated junctions or carriageway features that are difficult for motorcyclists to negotiate. Local maps showing the best routes to site may be useful. In some instances personalised journey plans could help those new to motorcycling. In a similar way to bicycle provision, organisations on large sites should consider providing sign-posted routes to appropriate parking areas that are well lit and maintained for motorcycles. 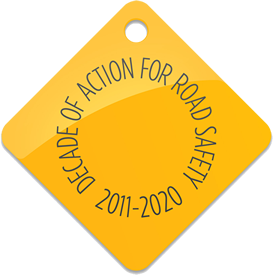 It is also necessary to review road-based site security systems (such as lifting barriers and pass cards) because these may not have been designed with motorcyclists in mind. For example, a pass card can be challenging to retrieve from within bulky protective jackets whilst wearing riding gloves. Access to the site should always be well lit, well surfaced and clear of carriageway hazards such as gravel or other debris. Parking should be covered, well lit and equipped with suitable stands to which motorcycles can be secured. It should also be located close to the entrance of a building, on level ground and not open to abuse by delivery vehicles or used as a drop off point (Chapter 6). The use of space in non-traditional areas for motor vehicles (eg an otherwise unused space near the road) has been effective in some areas and offers better parking provision, security against theft and space utilisation for motorcycles. Motorcycle and bicycle riders need changing and showering facilities, a drying room and lockers for safe equipment storage. It would be advisable to explore the tax advantages or implications of the costs of any conversion or building work that may result from providing these facilities to staff. Shared interest groups are useful for providing support for potential motorcycle users, giving feedback and identifying possible improvements to Travel Plans. A user group can raise the profile of motorcycles as a viable means of commuter transport and identify safe and efficient routes to the workplace. It may be possible to negotiate discounted rates on clothing and equipment with local suppliers. Vehicle maintenance is an important aspect of safety. User groups often hold maintenance clinics and liaise with local mechanics to negotiate special rates for newcomers and regulars.